Central Location! 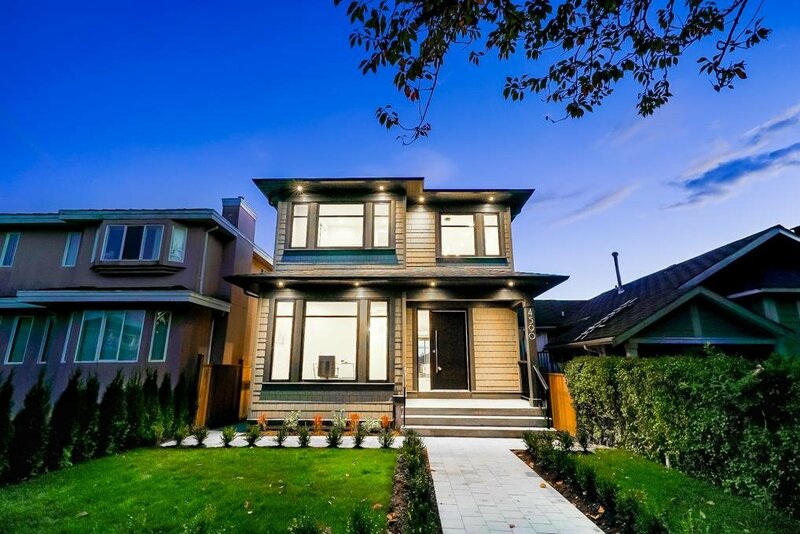 Beautiful Modern home built by experienced builder Hara Homes. No wasted space, 3 BDRMS & 2 full BATHS UP. Big linear window in master room to take in the views of Metrotown & Brentwood. Great room Open Concept floor plan. Beautifully designed kitchen with huge Island & breakfast bar to entertain. Spacious office & laundry on main floor. Lots of extras including Oak floating shelves in kitchen, family room & built in work desk in master. Highend modern light and bath fixtures. Radiant heated floors, A/C, Security system, Microwave drawer & more. 1 BDRM legal suite. Steps from Alpha Secondary School, a short stroll to the newly developing Brentwood Town Center, Vancouver Heights shopping district. Near parks & community Centre. Only 15 mins drive to Vancouver Downtown.